Jamie Squire/Getty ImagesTommy Fleetwood is down to his final set of irons heading into the PGA Championship. 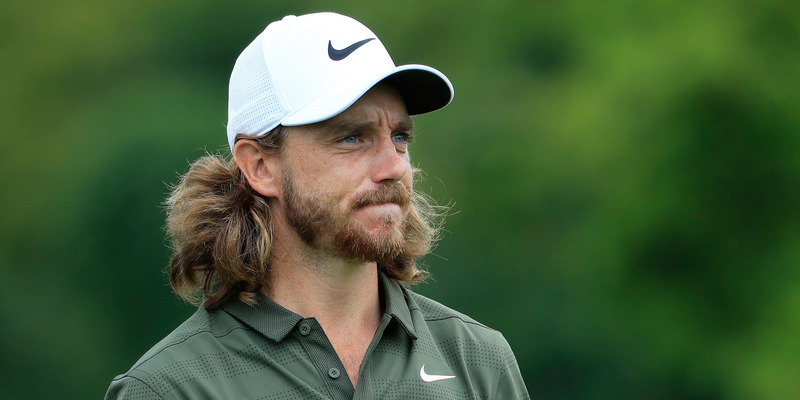 Tommy Fleetwood, who plays with discontinued Nike VR Pro Blades, is down to his final set of irons heading into the PGA Championship. Fellow Englishman Paul Casey is in a position to help Fleetwood out, possessing an unused pair of the now-rare irons, but he has refused to part ways with them. Casey went on to joke that the only way Fleetwood would get his hands on the irons is if the two players were Ryder Cup teammates. This Thursday the best golfers in the world will meet at Bellerive to compete for the 2018 PGA Championship. While most players spend the days leading up to the tournament mapping the course and reading the greens, Tommy Fleetwood had another problem to tackle – finding an extra set of irons. Fleetwood plays with Nike VR Pro Blade Irons, a holdover from when the brand sponsored his bag. Most players would have had their sponsors replace their set by now, but since Nike halted production on its golf equipment, Fleetwood has been left to take special care of his one remaining, ageing set. For a moment it looked as though Fleetwood had possibly found a solution to his predicament – fellow pro Paul Casey apparently has a spare, unused set of Nike VR Pro Blade Irons sitting at home. But despite Fleetwood’s offer to buy the set, Casey has thus far refused to part with the irons. Fleetwood couldn’t help but be frustrated with Casey, but his fellow Englishman did say there was one way Fleetwood could get his hands on the irons he wanted – the Ryder Cup.